The Village Voice has included this blog in their Best of New York 2014 issue, naming it "Best Chronicle of New York's Ever-Changing Face." New York is changing at light-speed, with glassy condos and fro-yo shops mushrooming out of every corner. Sometimes it's hard to even take stock of all the changes; it can take weeks or months before you notice that your favorite old sign for a '30s jazz club has disappeared, or an Italian restaurant that has been tucked in some corner of (what's left of) Little Italy since the dawn of time. No one takes stock of New York's changes with the same mixture of snark, sorrow, poeticism, and lyric wit as Jeremiah Moss, the voice behind Jeremiah's Vanishing New York. Nothing escapes Moss's notice: When a beautiful robin's-egg-blue newsstand was suddenly gone from the corner of 23rd Street and Park Avenue South this past summer, he mourned its passing. "It was crooked and quirky, just like all our newsstands used to be. It had character," he eulogized. "Really it was the only bit of original New York character left on that chain-strangled corner." Even as the changes he's cataloging break our hearts a little, it's that kind of lovely, precise writing that makes Moss's blog essential reading. No more than your deserve. You have no idea how many of us lovers of New York recognize their own experience in your words. Indeed, well-deserved. And JVNY continues to be essential reading. Thanks for keep at it. You, more than any other blogger, have captured the disappearance/deconstruction of this town with real intimacy. You give a voice to all of us watching our beloved home get torn down one brick, or block, at a time. First thing in the morning...you and Al Roker are the barometers of what kind of day it will be....sad to say, you forecast more rainy days than he does....but when you do make the sun shine with happy news, it beams!! Yes, you do deserve the key to the city....before they change that lock too. Jeremiah, this honor is richly deserved. 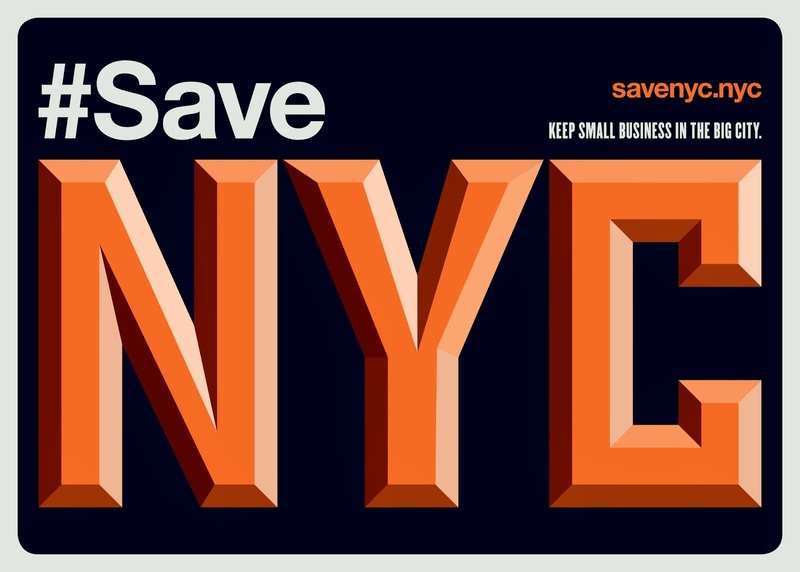 Congrats to you and to Grieve, the colossi of NY bloggers, who take the time and make the effort to detail how our beloved city is hurtling away from us at light-speed. While I wish there were no need for your blog, I am glad it's there to memorialize so many passings. One of the great things about your work here is the way it surprises me in it's breadth.....the Metro articles have been a treat (and would love to see the original longer pieces that the articles come from)......and your statements on the gentrification issue have struck more chords than you know. But the biggest surprise are the (manly:+) tears I shed reading about the disappearing places in the city. Not trying to be maudlin here at all.....you also make me laugh quite often. And it probably has something to do with the fact that I'm no spring chicken. But no, it's the fact that I'm tearing up about places I have never been, or remember VERY vaguely. 'Dat's good writin'! Thanks for ALL that you do. Keep on chooglin'! I'm really touched, thank you guys. Congratulations, Jeremiah! You deserve it. Congrats on the honor! Your blog's an essential read for me. I keep it pretty short. I think blogging has got me in that habit. So, no 6-pagers! 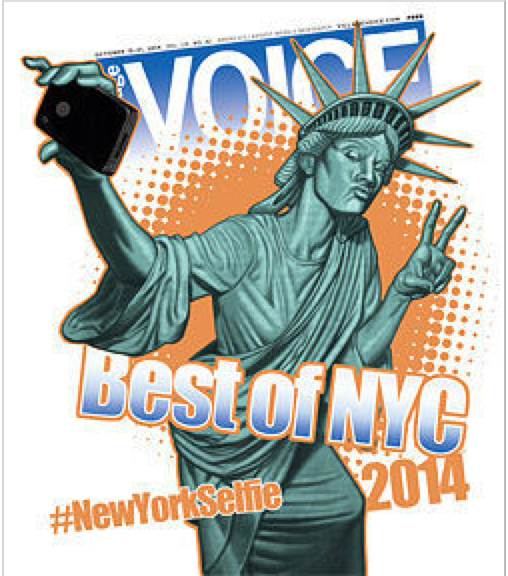 For a second, I thought that you were portraying the Village Voice as your next Vanishing institution. But the mention is well deserved, and thanks for the blog. i discoved JM while reading the NYtimes in 2010. what a facinating artical on ed hooper's "diner". the blog is a brilliant anthology. many other cities have met the same fate. never thought NY would be one of them. ed, i can live w/out the V.V. the ink comes out on your fingertips & they specialize in advertising prostitutes. they havnt had a good writter since 1964. jeremiah will be reconized & awarded later across the board, & internationally. Jeremiah, Just back from celebrating my husband's 70th birthday (we journeyed from MA) with our children and their partners. A one-night frenzy determined by our Bronx son's schedule combined with our daughter's Brooklyn schedule and three of this young set working in Manhattan. Complicated, but we ended up in the restaurant (wonderful!) on Barrow Street (though we barely made it -- West Side Highway traffic hell!). Anyway, here's what I want to say. Last night was a wonderful redemption. Trying to pulse from the Bronx to the west Village (would Barrow Street always have been so designated? --I doubt it! ), to one of those (relatively) new places you might feel nervous about, as we crawled rather than pulsed, I felt New York in that frustration. Home! The love in the frustration that you register superbly. Well, last night for us at least, the love won out. As you beckon always that it should. And it will. Many, many congratulations. VNY is indispensable reading - sad, beautiful, vital.